We have compiled a list of answers to questions we get asked a lot. We hope you'll find your answer here too. If not, please go to our Contact Us or Request A Quote page to ask your question. Q. Do you charge for quotations? A. No, All quotes are free and non-obligatory. Q. Can the shade sail fixtures be attached to my house? A. Generally, if the house has a double brick outer wall, we can attach the shade sails to it. Q. Do we need council approval? A. 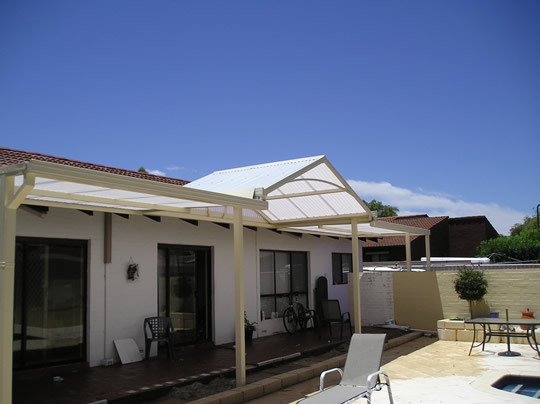 Approval is necessary for patios, gazebos and sometimes for shade sail structures. Q. Who applies for the building license and who pays for it? A. We make the application on your behalf. The building license fee is included in the quote only for a patio or gazebo. Any other fees are extra. Q. 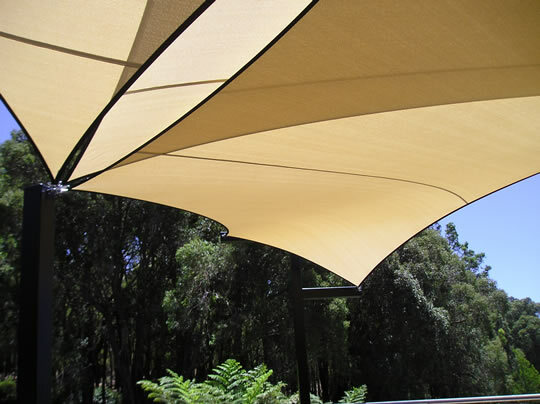 What is the shade cloth's UV rating? A. Generally it is 95%, but the rating varies between colours. Q. Is the shade sail waterproof? A. No, not 100%. Light rain will simply run off, but in a heavier downpour, a little water will come through. Q. Do you weld your trusses or use brackets to join them? A. All of our trusses are fully welded. Q. Do you use separate gutters for the patio? A. It depends on the client, we can either use separate or box guttering. Q. Can you match the colour of the steel to the colours on my house? A. 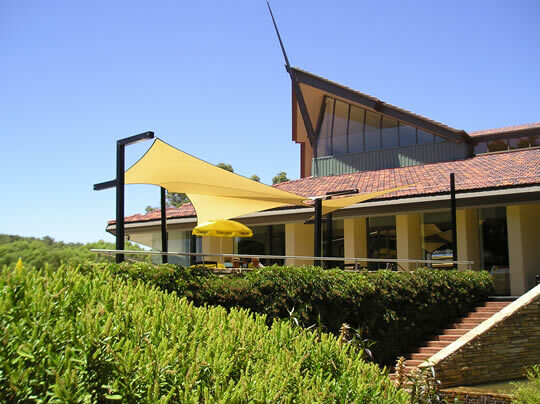 All Colorbond colours are available and in most cases we can either match your colour, or come very close to it. Q. What sheeting is available? A. 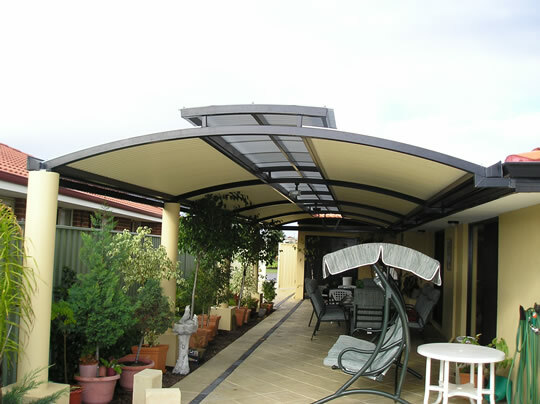 We offer a large variety of either Colorbond or heat reflective poly-carbonate. It is best to discuss your optoins with a consultant. A. We only use fully galvanised steel. Q. What material do you use for the fittings?? A. All fittings are marine grade 316 stainless steel.